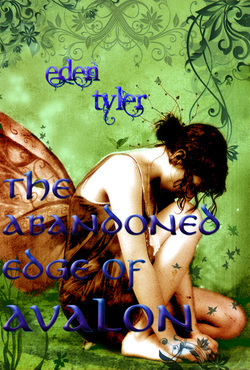 Twenty-four year old Alexis Hodge has visionary dreams which take her to Avalon, the realm of faeries. She discovers this other world is real and it's where she was created. Switched at birth, she is a changeling, simply disguised well to fit in with humans—on the outside, at least. She learns of her derailed heritage and about the day she was born, when the worst kind of evil killed her mother. What else I'll say is I have three major plot points that I just couldn't ignore when I finished writing the first one. I had initially wanted a trilogy, but then decided to work on something different. But it's not up to me. The characters are completely in charge. Which is fine by me because I'm interested to see what happens on their journey. Six weeks after the end of the first book comes Bealtaine. Of course the faeries have a party. One which entraps a few humans. They need to be rescued, right? Who better to do that? Without giving the first book's ending away (which I totally would if I gave any details), I will say that the visionary dreams are in full swing and, well, not nice. A horrible haunting is seeping through them and it's pretty much torture. To add to these problems, magic is never simple. Whatever you do comes back at you times three. So there you go -- just wrote it up quickly, so it's nothing special. Not a pitch or a blurb...it is what it is. It's what I'm working on now. So I'm also working on something completely different. A non-fiction book about lupus. My experiences with it as well as others. It will be part memoir, part interviews, part facts and help...resources. I'm finishing up the proposal and need to get in touch with a few more people. It's been hard because support group meeting turnout was poor in my town, so I have to travel to access certain things, but well worth it. I know there's a lot out there about invisible illnesses, but not enough people know about lupus, and the fun case of fibromyalgia I have to go along with it. I want to reach out in a different way and let people know they are not alone. I want to help as much as I can to support finding a cure. I want the word out about what this disease truly is and how it affects the people who have it. And not only those who have it -- the people around them, as well. Lupus is known as a family disease because it affects everyone. Even my daughter has talked to her kindergarten teacher about it. It affects everyone and people just don't know. I want to make it enough. Or at least try my damndest!